Building on Bruker’s flagship series of Tapping probes with rotated tip, the RTESPA-525-30 provides accurate nanomechanical mapping on very stiff samples in air with controlled end radius and laser Doppler vibrometer calibrated spring constants. End radii are controlled to 30nm +/- 15%. Spring constants are individually calibrated and guaranteed within 20% . Parameters are contained in the QR code on the box for fast and error free reading with the QR reader included with Bruker’s new PeakForce QNM high accuracy kit available for Dimension Icon. The very high low nominal 40N/m spring constant is most suitable for very stiff (typically >> 1 GPa) samples. 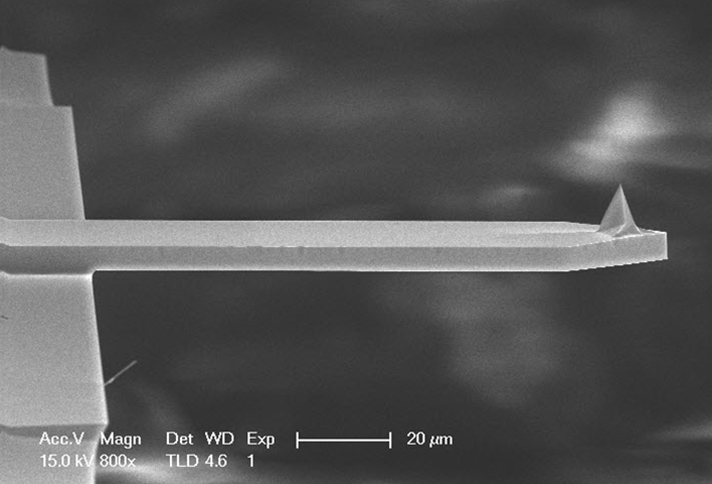 For other samples, see the whole series of calibrated probes. Aluminum reflective coating on the backside of the cantilever. 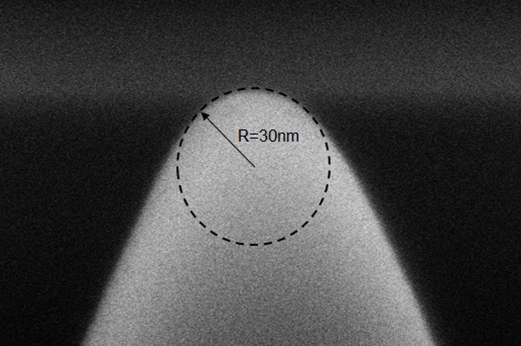 The Al Reflective coating increases the laser signal (A+B) by up to 2.5 times. Although not necessary for general imaging, reflective coating are recommended for thin cantilevers, highly reflective samples, and machine vision applications.